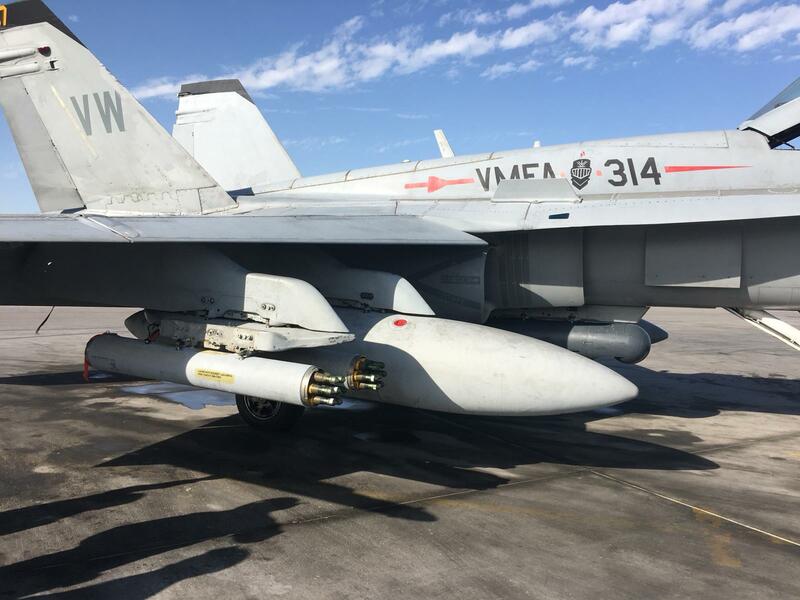 The Marine Corps’ F/A-18 Hornet squadrons recently flew with the Advanced Precision Kill Weapon System (APKWS), a highly accurate 2.75-inch/70-mm rocket that provides air-to-ground weapon support. APKWS allows the F/A-18A-D Hornet to maintain a forward-firing, moving-target capability while increasing available ordnance per aircraft and provides a more efficient weapons match versus target sets currently seen in theater. «This is an incredible weapons system that our most experienced pilots down to the newest pilots can effectively employ», said Lieutenant Colonel Jon «TAG» Curtis, commanding officer of one of the F/A-18 Hornet squadrons. The low-cost 2.75-inch/70-mm rocket has a laser guidance kit that gives it precision-kill capability. It has ability to destroy targets while limiting collateral damage in close combat. Curtis’ squadron received the new weapon system in February and completed ground training and in-flight training to ensure the weapon worked effectively. All of the weapons fired during training directly impacted the final aim point. The team established a land-based integration program to expedite fielding with a limited employment envelope using a tailored approach in engineering, logistics, and contracting to deliver units to theater as quickly as possible. This effort supported on time training and operational employment of APKWS for the deploying squadron in Operation Inherent Resolve (OIR), exemplifying «Speed to the Fleet», he said. The F/A-18 Hornet is the second U.S. Navy fixed-wing platform to carry APKWS. It is also employed from the AV-8B Harrier II as well as rotary-wing platforms including the UH-1Y Venom, AH-1Z Viper and MH-60S/R Seahawk. The U.S. Navy and Marine Corps have fired thousands of combined fixed- and rotary-wing shots and hundreds in combat scenarios.